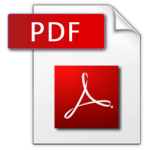 Forms – Bishop Sheen Ecumenical Housing Foundation, Inc.
All Forms are available using the free Adobe Acrobat Reader. Download the PDF files by clicking on the appropriate link. Read and fill out the form. Mail forms and requested information to the addresses noted on the forms.